1. 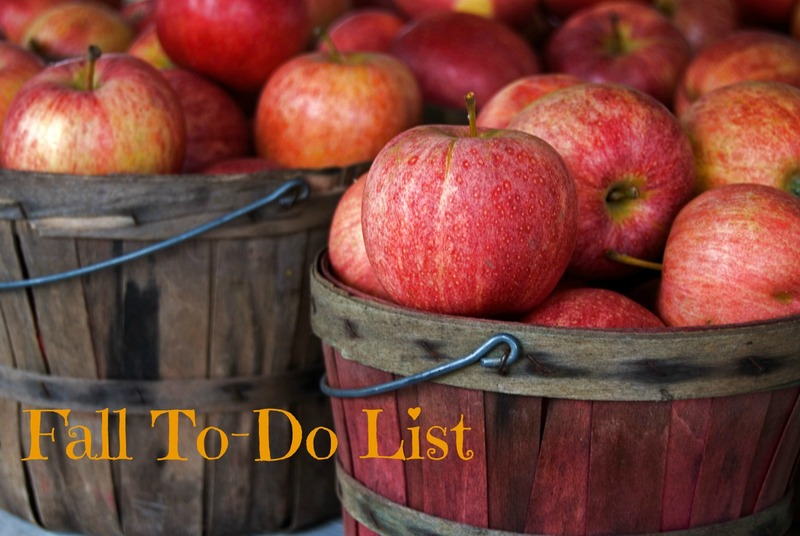 Go apple picking or visit a pumpkin patch as a family (or both if there's time!). 2. Have a fondue dinner and especially try this salted caramel fondue from A Beautiful Mess. 3. Take a road trip to Boonsboro, Maryland with my friend Dani. 4. Have a date night at one of the ROM Friday Night Live events. 5. Get a personalized stocking made for Sebastian. 6. Read Mitch Albom's new book The Magic Strings of Frankie Presto. 7. Try a Toasted Graham Latte from Starbucks. 8. Decorate pumpkin cookies with Seb, plus I think we'll try making these ones together. 9. Watch Hunger Games: Mockingjay Part 2. 10. Make homemade apple cider. If you have a recipe you love, please let me know!